Is it a little late to round up 2016? Anyway not going to. 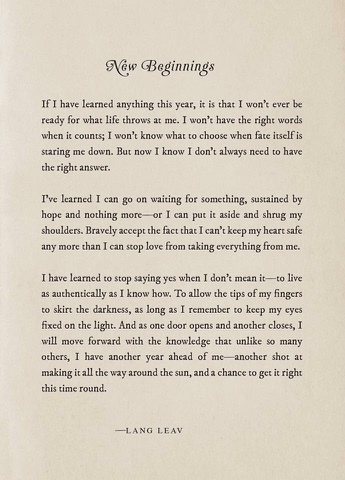 This by Lang Leav quite fits the bill I guess. Looking forward to 2017.